What does broom-clean mean for the apartment handover? If the tenancy agreement states that the rented property or parts of it must be left broom-clean, it is not always clear what is meant and understood by this. In this article, we explain what broom-clean means, what you are obliged to do and what you can ignore during the final cleaning. 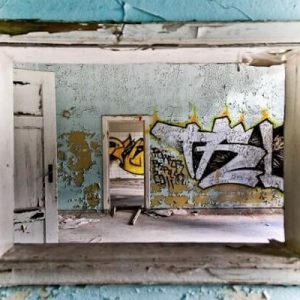 As long as the tenant still lives in the rented property, it is largely up to him to decide how clean he keeps his living area, cellar, garage and attic. It is also up to him how he cleans the rented property as long as it is not damaged. 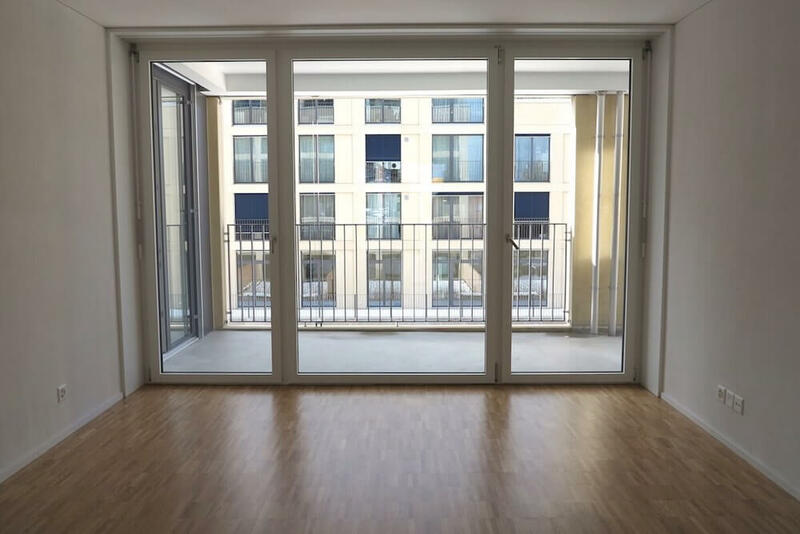 But as soon as the move and the handover are due, the clause of the tenancy agreement becomes interesting, which deals with the final condition of the rented property. 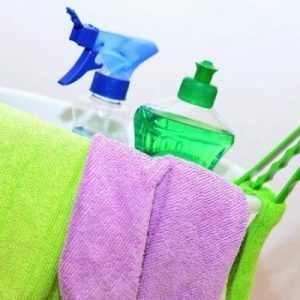 If the tenancy agreement contains expressions such as “carefully cleaned”, “properly cleaned”, “in a cleanly cleaned condition” or “carefully cleaned”, the tenant owes the landlord a cleaning service that goes beyond broom-clean cleaning. 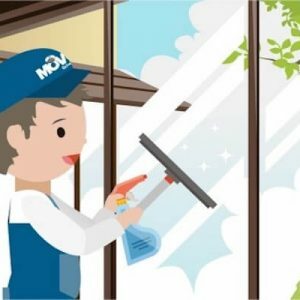 In this case, the landlord expects a cleaning service which also includes points such as cleaning windows, cleaning slat blinds, shampooing carpets etc. 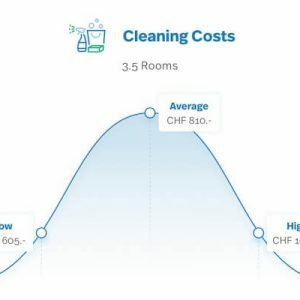 This is usually the case in Switzerland and landlords take great care to ensure that the apartment is thoroughly cleaned. Here you can find out what a typical final cleaning involves. First of all, the rented property must be completely cleared when it is handed over. All furniture and objects that have been brought in when you moved in and possibly attached to the walls must be removed and taken away when you move out. This is particularly important in storage rooms such as the garage, the cellar and the attic and is often not considered. The floor in the apartment, cellar, garage and attic must be thoroughly swept or vacuumed. If there are stains on the floor that cannot be removed by simply sweeping or vacuuming, it should also be wiped with a wet cloth. Sweep floors, ceilings and walls if they are very dirty. Cobwebs like to accumulate in corners and must also be removed by the time the apartment is handed over. Coarse dirt on windows and doors, such as adhesive residues, should not be overlooked. Sweep the balcony or terrace floor and remove the cobwebs if necessary. If there are built-in cupboards in the rental property, you should clean them. Also fitted kitchens, which are present in most renting objects, should be roughly cleaned. Remove all food and wipe all surfaces, paying particular attention to the removal of grease stains. Lime deposits in the bathroom and kitchen are also part of the definition of “broom-clean” and must be removed when you move out. What does broom-clean not mean? Nicotine residues must only be removed if smoking within the rented property is prohibited by the rental contract. In general, it is advisable to leave the rented property in the condition in which it was originally found. A verbal clarification of the landlord’s expectations also provides clarity for all parties involved. What is stated in the rental agreement? It is important to distinguish between cleaning and renovation. Cleaning means that the rented property is cleared of dirt. Renovation often means minor cosmetic repairs, i.e. the removal of signs of wear and tear within the rented property. The clause “broom-clean handover” does not contain any renovation requirements. However it is possible that a further clause stands in the rent contract, which contains the effective removal of wear and tear. The two clauses ” broom-clean handover ” and ” beauty repairs ” do not contradict themselves and can be contained both as requirements in a rental agreement. If the rental agreement does not contain any information about the condition of the rented property, this does not mean that the residential area or other parts of the rented property can be left behind without cleaning. This is because there is no obligation to make an explicit provision for broom-clean handover. This means that a rented property must ALWAYS be handed over swept clean, even if this is not stipulated in the contract. A broom-clean handover is therefore a minimum requirement that the tenant owes to the landlord.